The literature review indicates a considerable divergence of opinion regarding the nature of the group of schizoaffective and related psychoses. 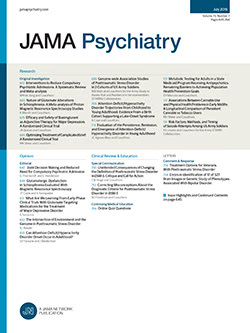 To resolve some of these controversies, record, follow-up, and family studies are being carried out that will test the following hypotheses: (1) The group of schizoaffective and related psychoses is a variant of schizophrenia; (2) a variant of affective disorder; (3) a third psychosis distinct from both schizophrenia and affective disorder; or (4) a group of psychoses that at first cannot be diagnosed and that eventually at follow-up are recognizable by the clinical picture, course, and family studies as schizophrenia or affective disorder. The study method for achieving these goals involves characterizing diagnostic entities by specific combinations of clinical symptoms, course of illness, and family history, defining such entities by specified criteria.